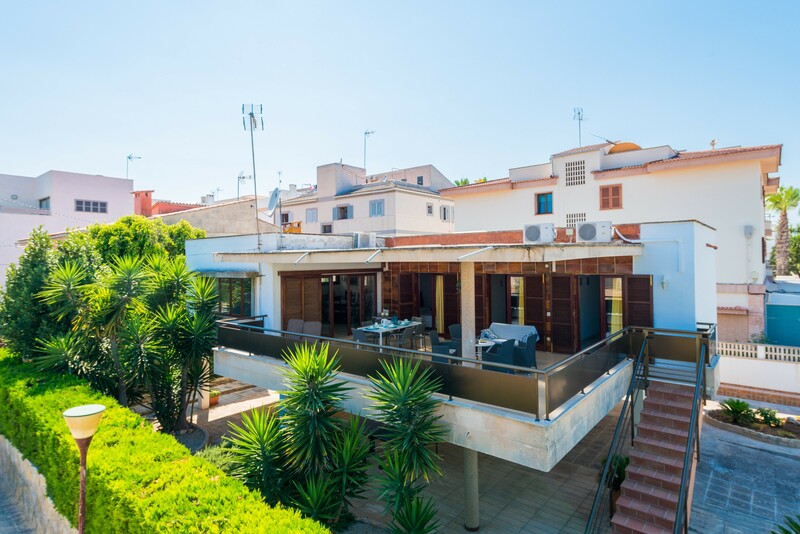 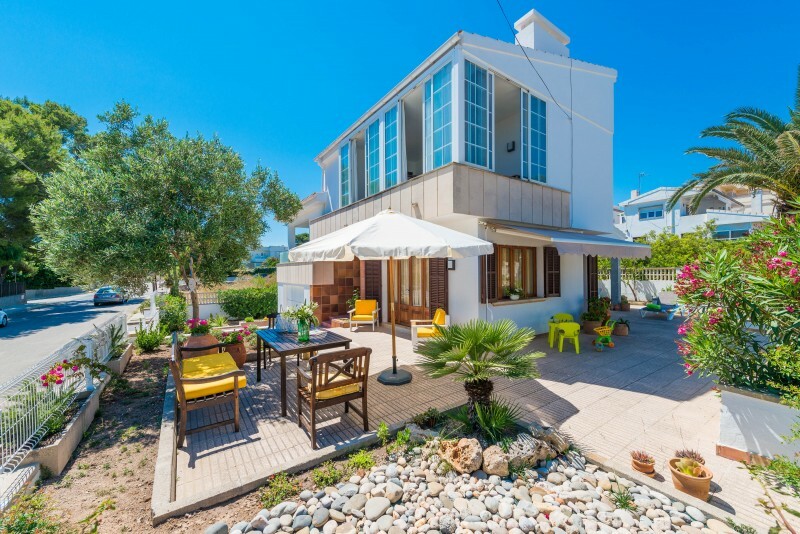 Beautiful and spacious 2-storey detached house located in the coastal area of the town of Can Picafort. 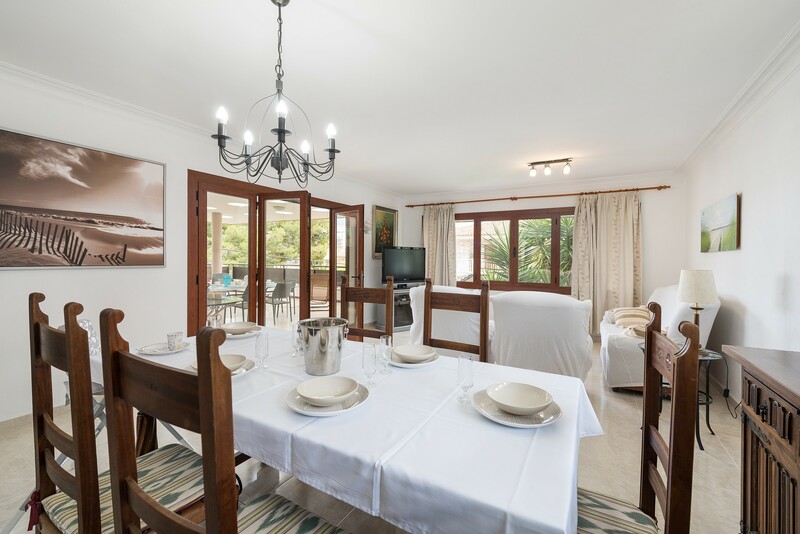 It overlooks the village, is in a quiet area, and it can accommodate 6 people. 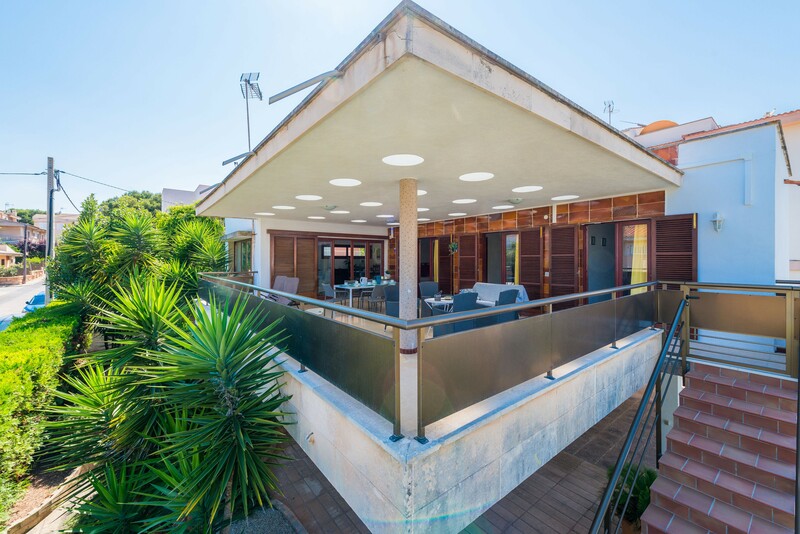 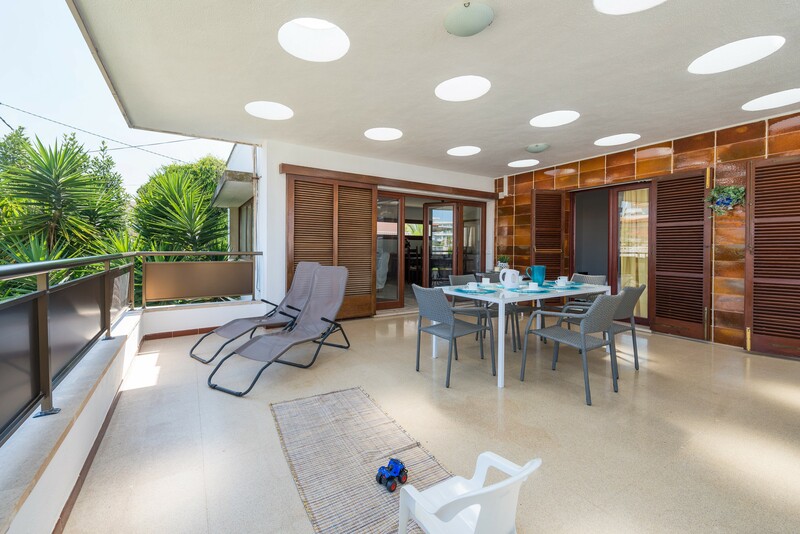 On the ground floor there is the property’s garden, which features 1 90m2 paved surface. 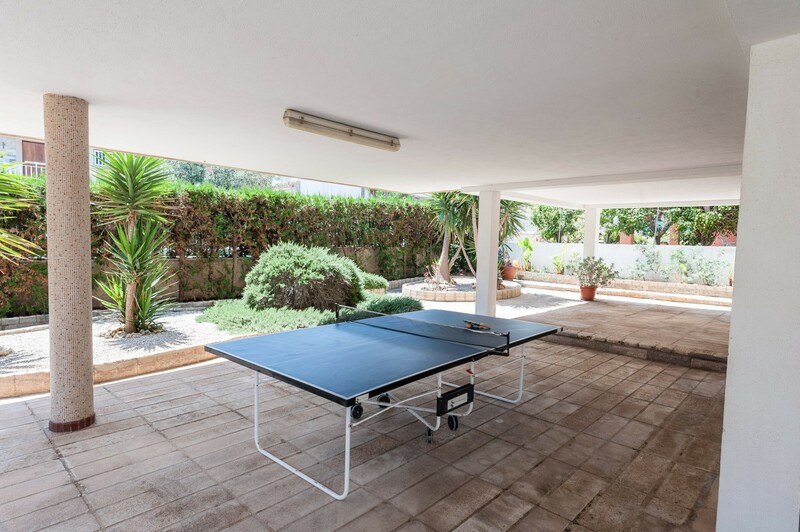 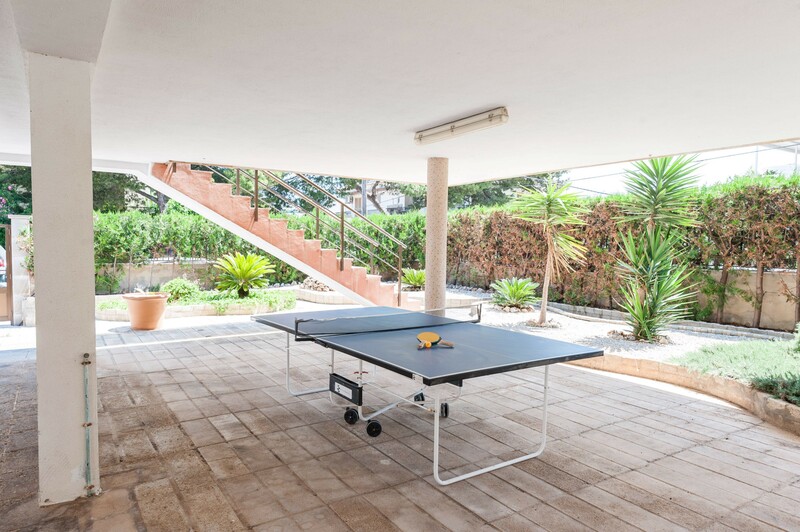 In this area you have access to 1 Ping-Pong table and 1 mobile barbecue to delight your guests with your dishes cooked outdoors. 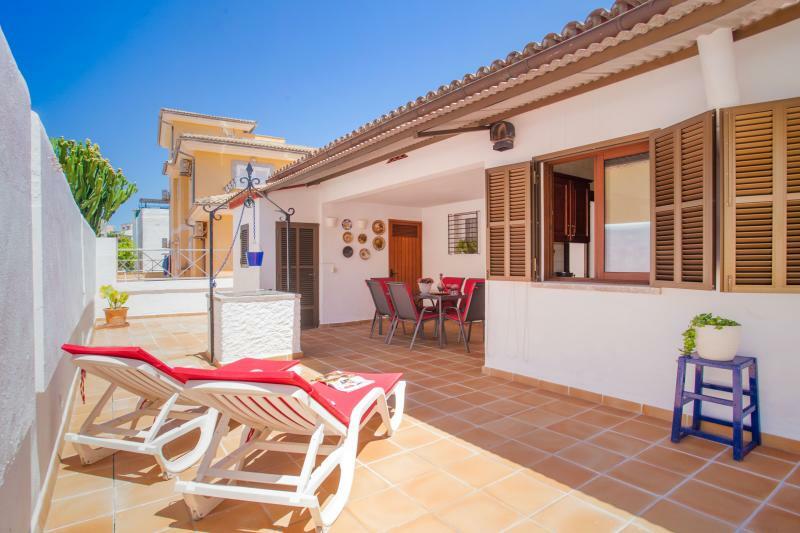 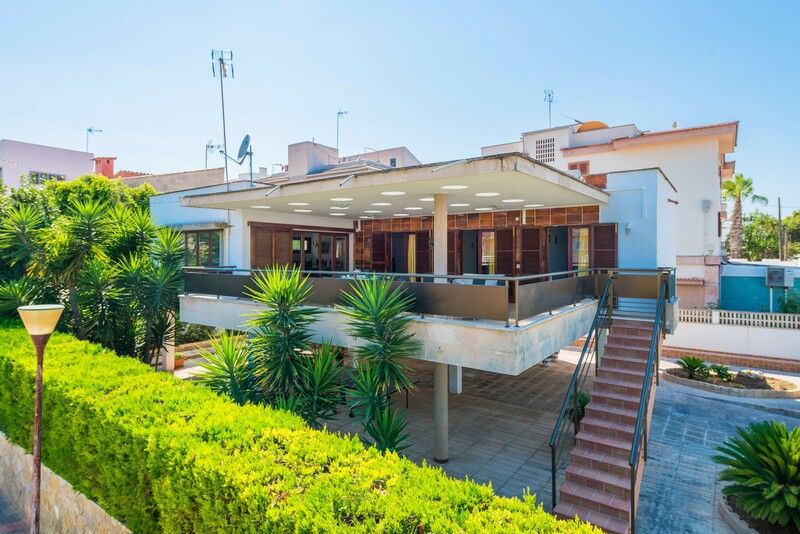 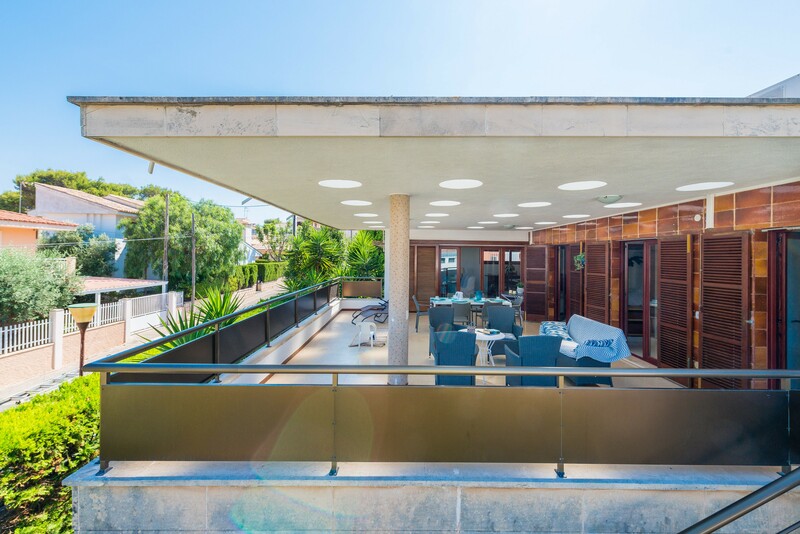 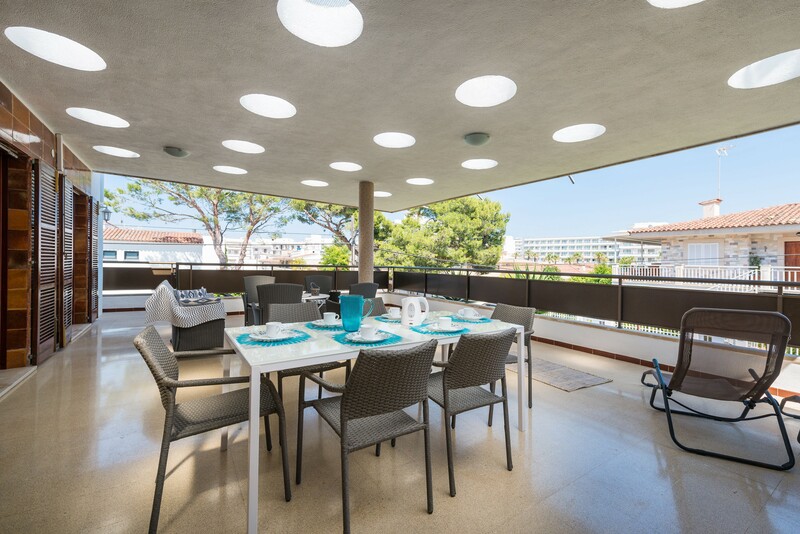 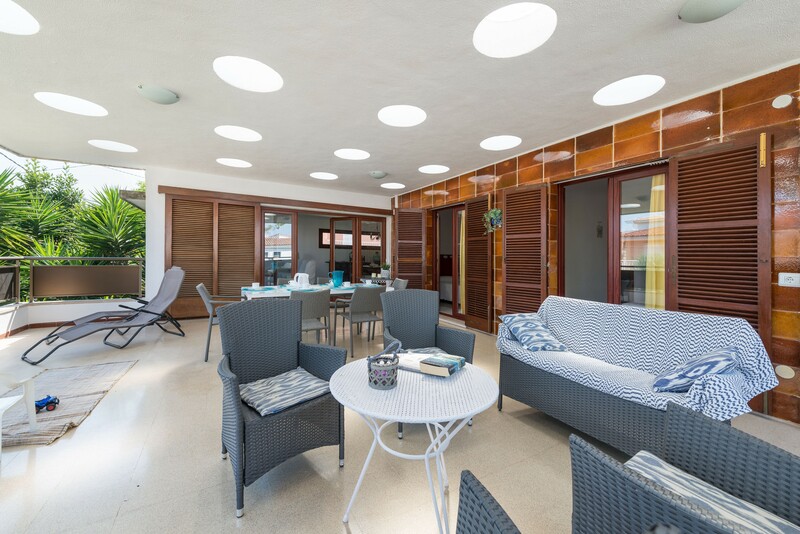 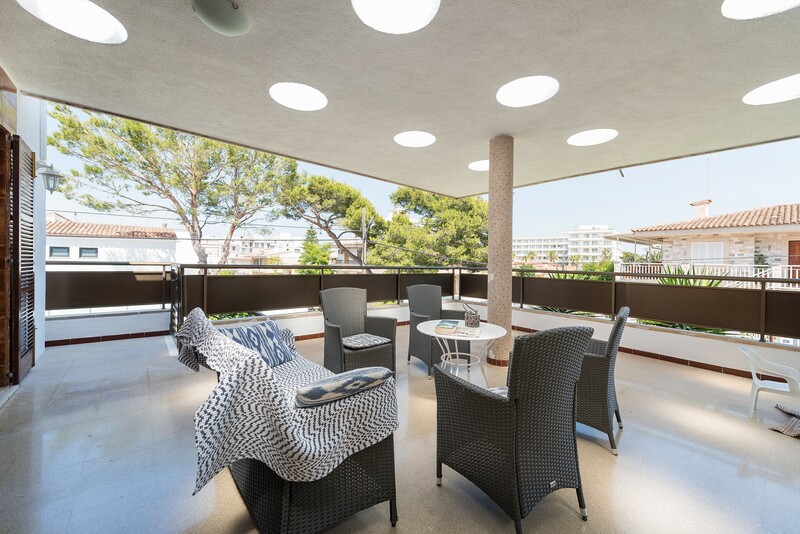 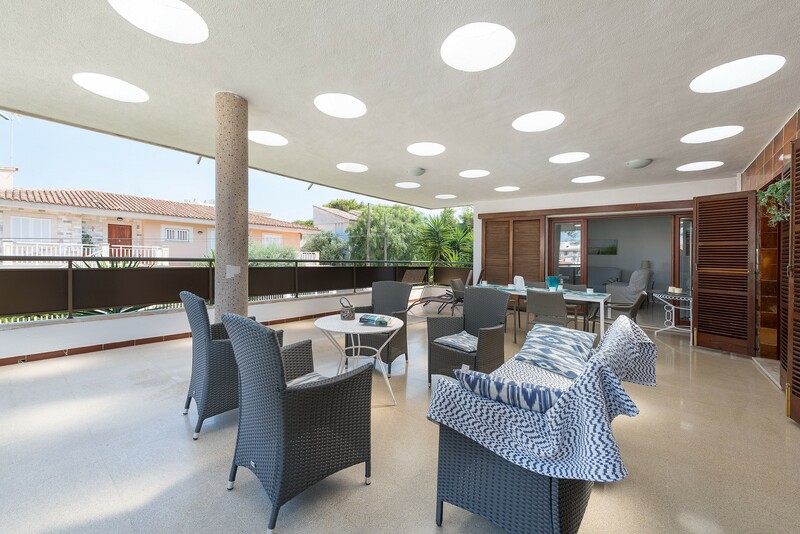 On the first floor, you will find the large furnished 29m2 terrace, where you can enjoy relaxing in one of the 2 sunbeds to which you have access; or eating and dining feeling the breeze. 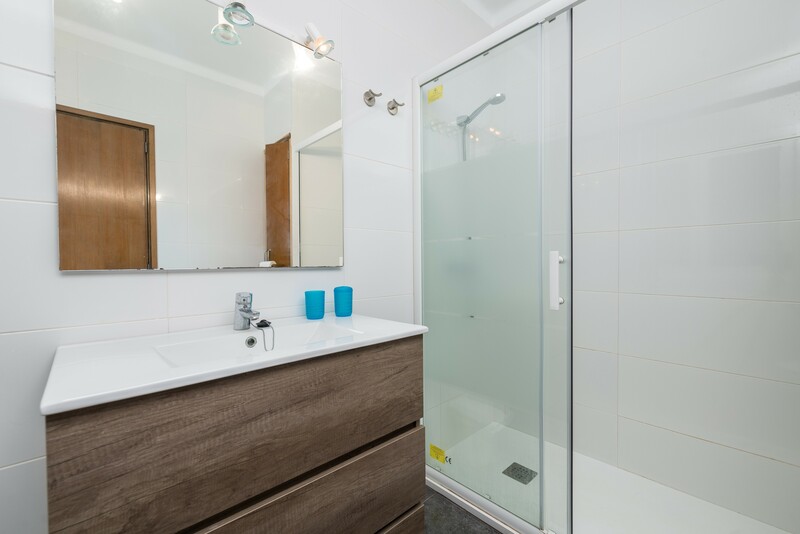 The privacy of the property is partial, and there is space to park 1 vehicle on the ground floor. 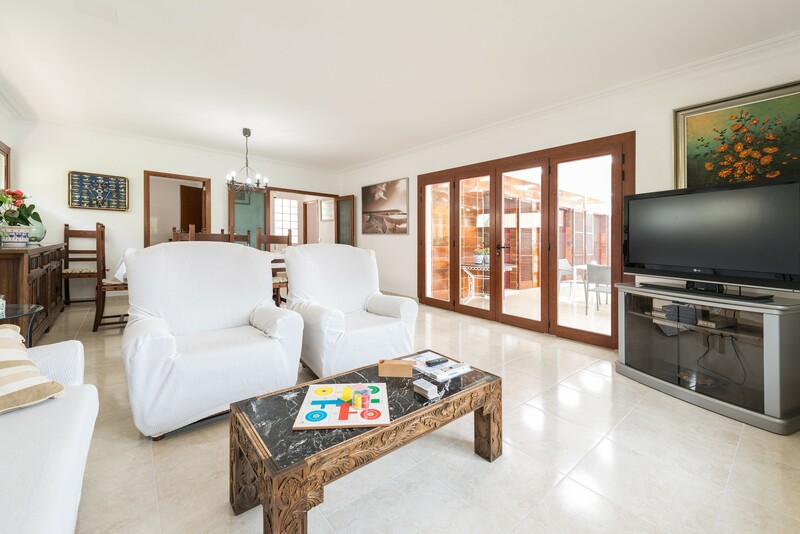 The comfortable living room of this house offers an ideal space to unwind from the daily routine watching satellite TV or through a good read. 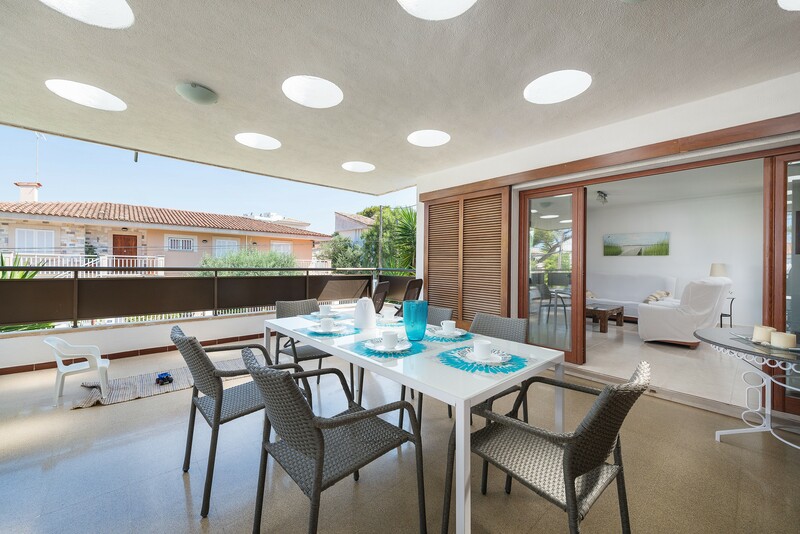 In the furnished dining room you can enjoy large after-eating talks, sharing unforgettable moments with your loved ones. 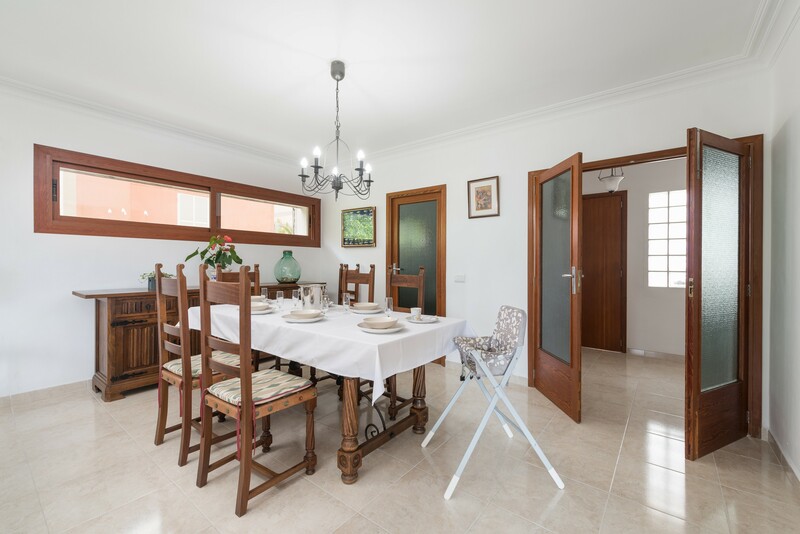 The kitchen, which has been recently renovated, provides you with a perfect and well equipped (with electric stove) space to carry out any recipe you intend to. 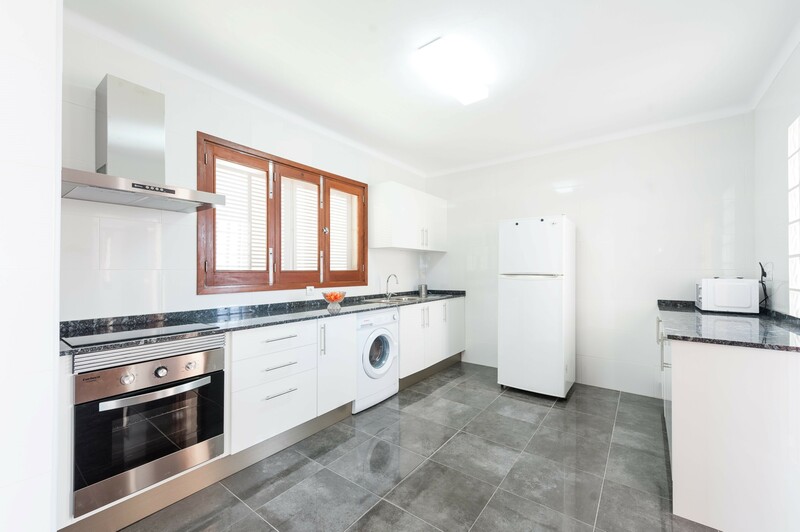 The washing machine is located in the kitchen and you also have access to 1 iron and 1 ironing board. 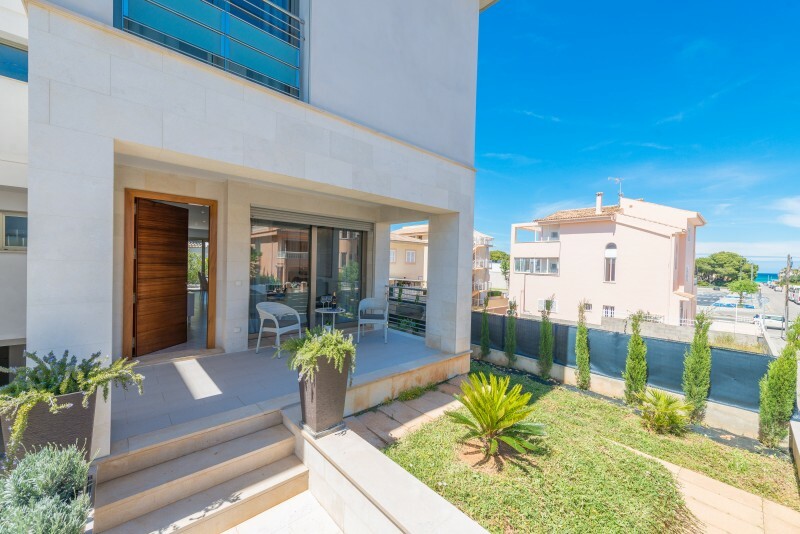 There are 3 bedrooms and they all have direct passage to the terrace. 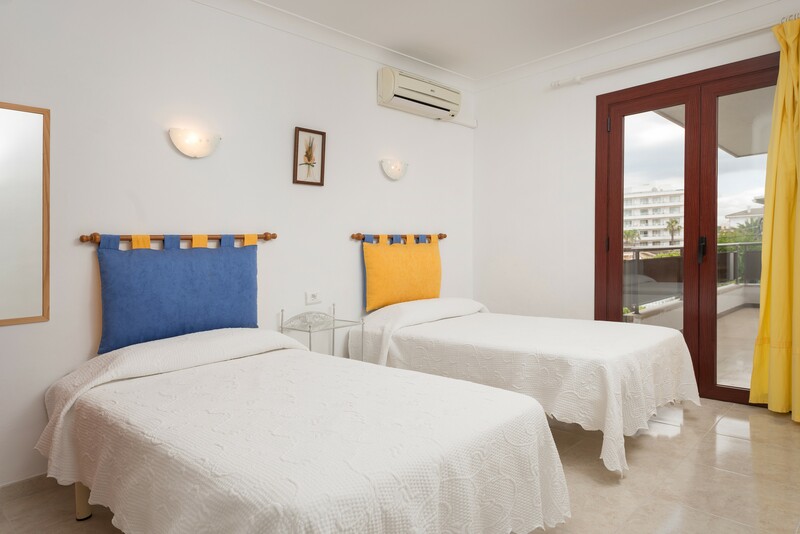 2 with 1 double bed and the 3rd with 2 single beds. 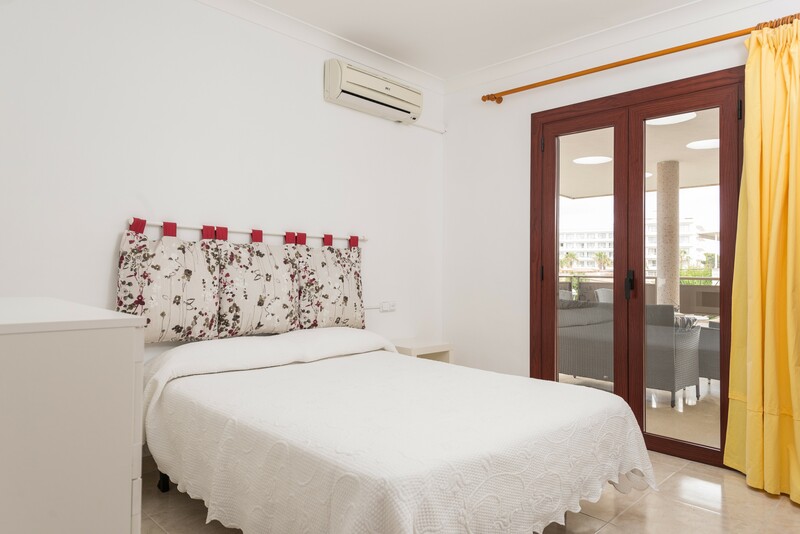 All rooms have a wardrobe and you can use the crib available for your use on any of them. 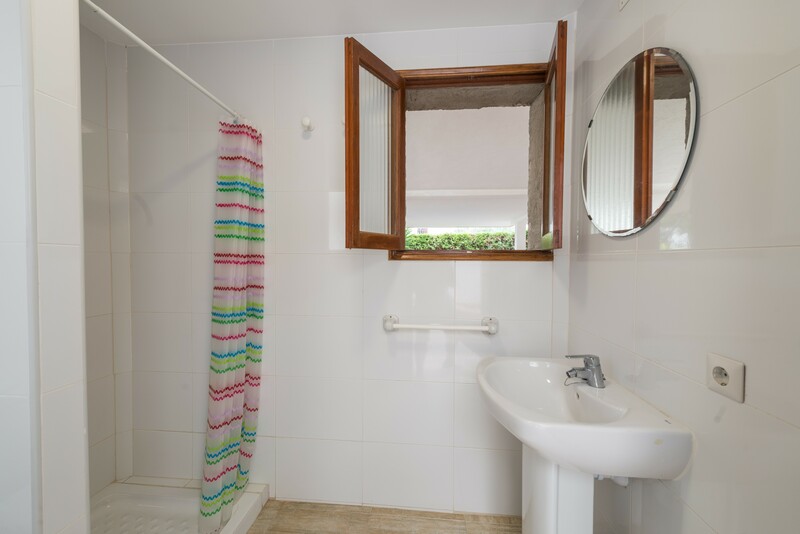 The house has 2 bathrooms, both with shower, 1 on the ground floor and the other on the 1st floor. 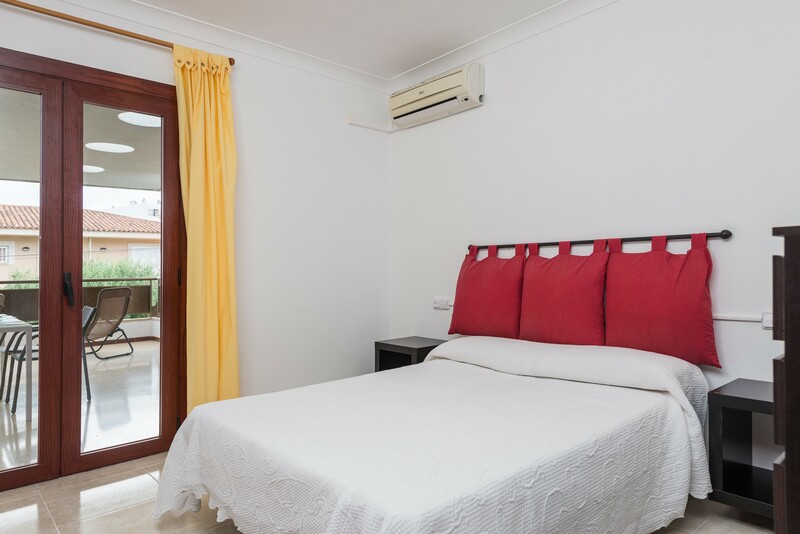 Each bedroom has A/C. 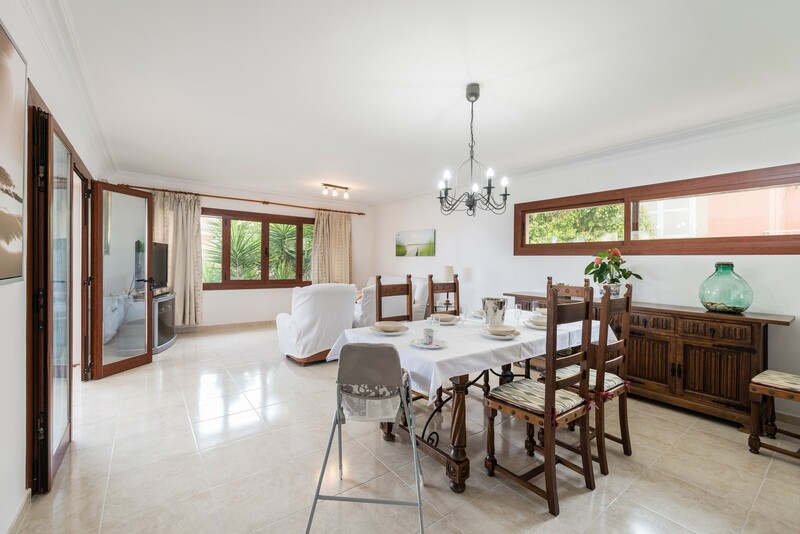 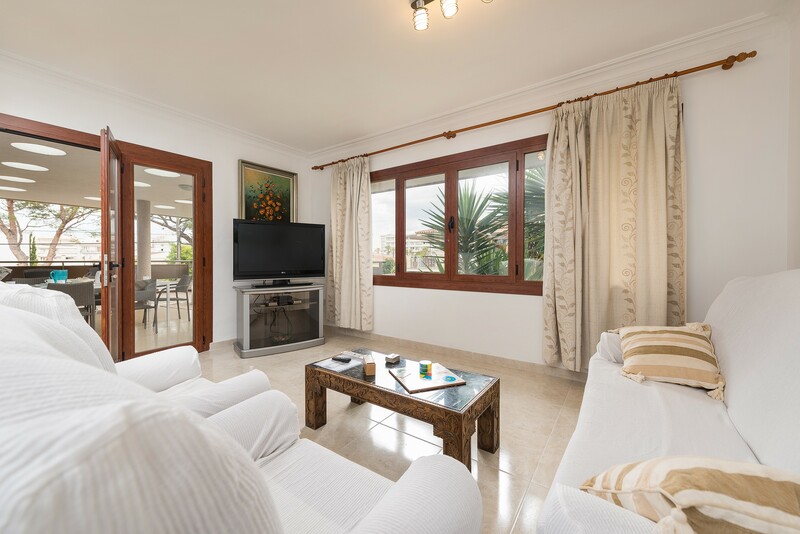 The setting of this house is very nice and quiet, but at the same time is situated near the tourist area of Can Picafort. 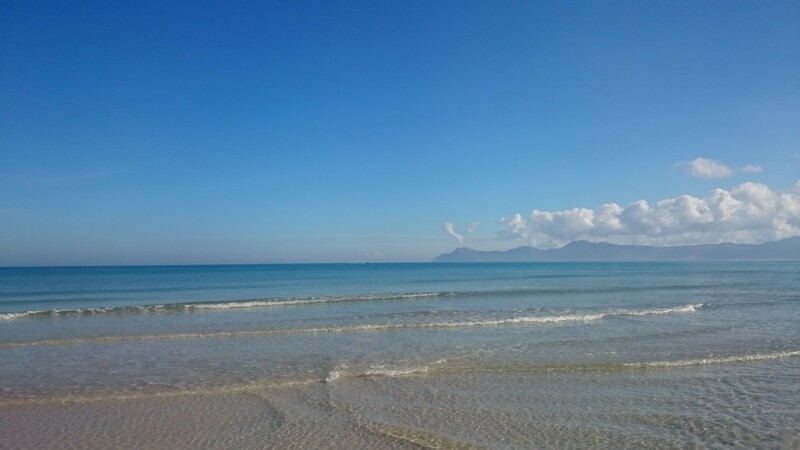 In the village there is a market every Friday morning, where you can buy various local products. 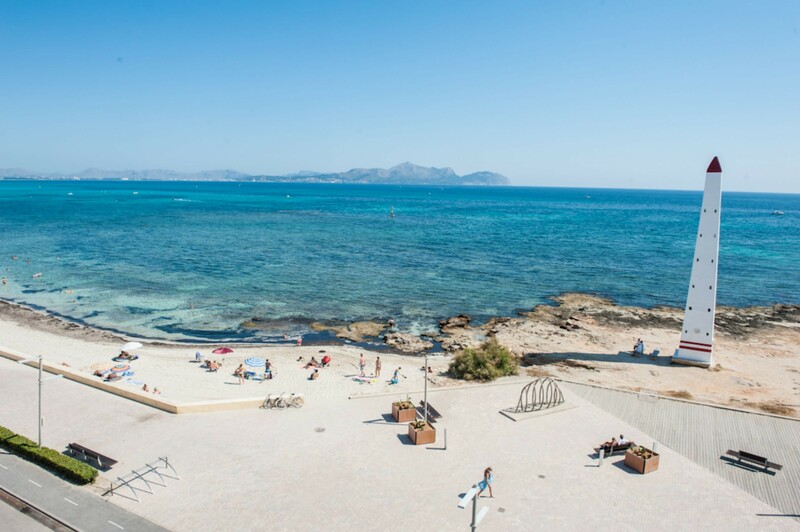 Can Picafort has beautiful beaches where you can relax or enjoy practicing water sports such as windsurfing, kite surfing or jet skis. 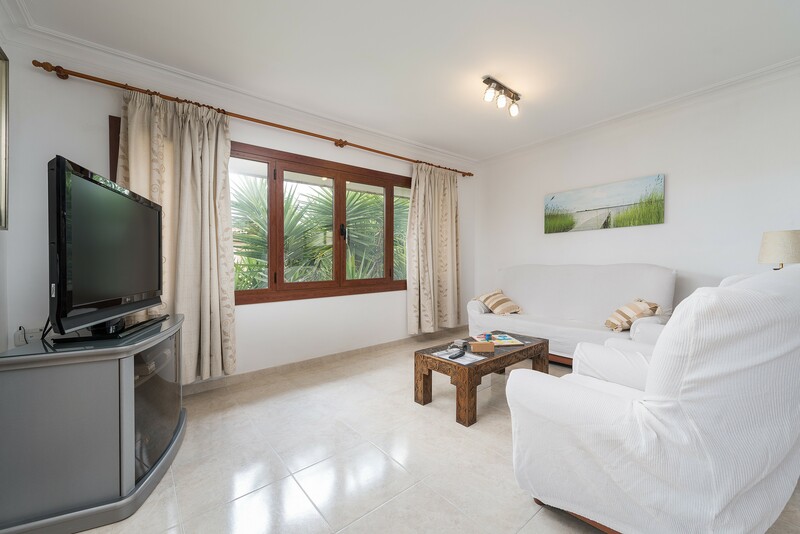 The area gives you access to boat trips to Formentor from the port. 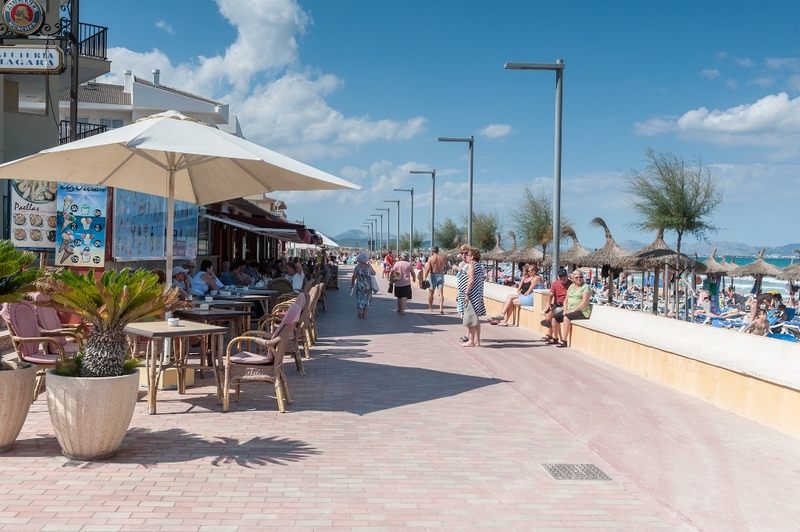 In the promenade of the area, there are a variety of bars and ice cream shops where you can enjoy a drink on a terrace relaxing with friends or family.